The maximum power can reach 200 watts. Aesthetic classic red and ash gray make the outlook extreamly stylish. Surprisingly smooth it been held in hand and felt the texture. Three different colors of LED display and brightness is adjustable. Super mesh AS system delivers maximum flavor and lasts longer. Vape with all these powerful combinations and you will see how wonderful your vaping journey would be! 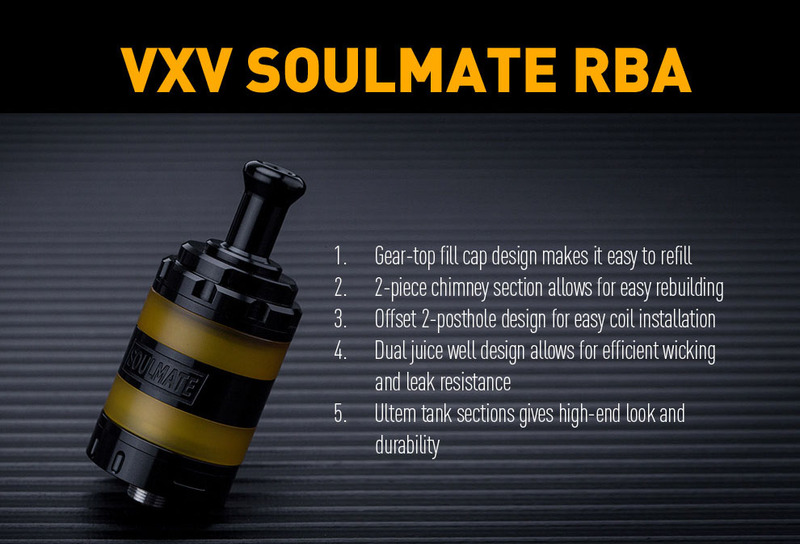 Now we are offering 10 sets giveaway of their latest atomizers: Soulmate RBA & X RDA. VXVTECH is a rising brand in vaping industry, they are offering high-end vaping products at good prices. Enter now to bring them home. For SMOKJOY giveaway, we have announced winners here. 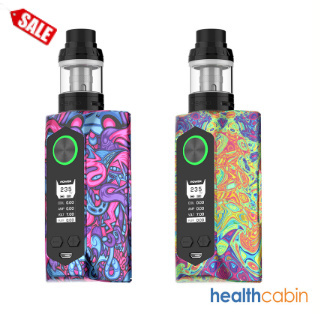 1.Two ways to vape as squonk mod and box mod for you to choose. 3.Two high-rate 18650 batteries which can fire up to 100W maximum output. 1.Sleek appearance, the mini body can be your best partner wherever you go. 2.Built-in 250mAh battery, which can provide you with dense clouds. 4.No fire key, no up or down button, just simply inhale. 1.Use new Mesh Wire instead with 100% organic cotton wrapped. It will absolutely extend the life of coil greatly, give you more pure flavor and vapor production! Hellvape Drop Dead RDA, comes for the DIY Lovers. With 24mm diameter, it has four large post holes for simple building of both single coil and dual coils. Drop Dead is designed with innovative downward sloping airflow, and you can find 14 airflow holes in two rows to bring you extremely smooth and tasty vaping. You can accurately adjust the airflow to the tightest condition, or the widest one, thus it’s a great choice for DIY lovers. It comes with deep juice well, and standard positive pin and raised BF squonk 510 pin are included. Pre-installed with colorful resin drip tip, there is another balck 810 drip tip for replacement. Here comes the $40OFF Summer Sale, are you ready to beat the heat with us? Many reviewers recommended! Don’t let the chance slip away! 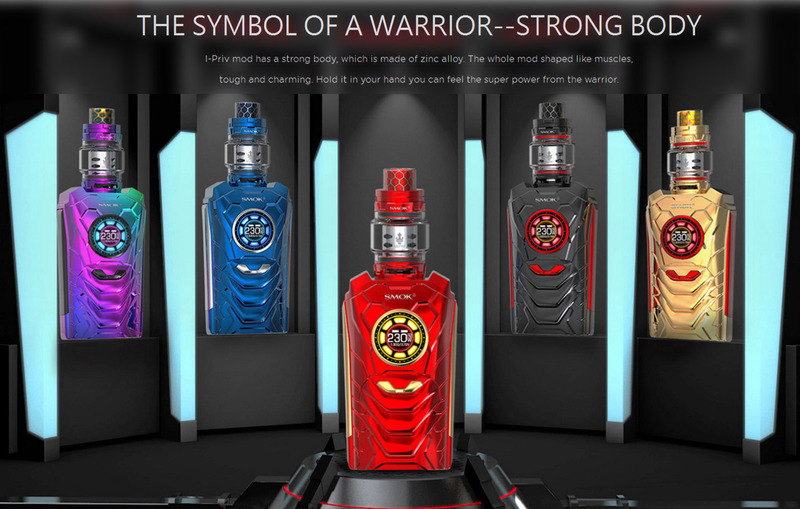 It is the first AI vapor kit from Smok company. It features the latest voice control system that allow you to control by voice. It can recognize speech and understand spoken commands. Works with dual 21700 batteries, it also compatible with 20700 and 18650 (needs adaptor), the SMOK I-PRIV kit will deliver 230W maximum output. Besides, it is equipped with beast tank, with large juice capacity and adopts new coils for nice flavor. 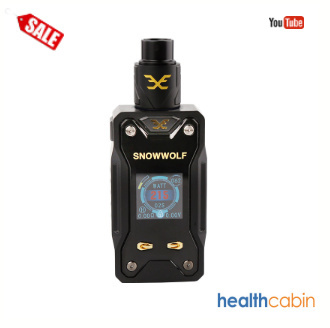 It is available in VW, TC and by pass modes for nice vaping experience. Innokin EQ Vape Pod System Started Kit adopts the first MTL mesh coil with the resistance of 0.5ohm, which not only give you different vaping experience but also rapid heat diffusion increases coil life. It comes with the magnetic design prevent from falling and support adjustable boost mode for you using. About the the latest 0.5ohm Plexus EQ Mesh Coil which features fast wicking and bottom-filling system. Here comes the latest member of Triade family - Lost Vape Triade DNA250C TC Box Mod. Equiped with Evolv DNA250C chipset, the Triade DNA250C will provide you the best vaping experience? Dual adjustable bottom air flow. High quality stainless steel and glass construction. 6.5ml and 4.5ml e-juice capacity for your choosing. Cuttwood is known for it’s Hand-crafted and bottled with the best quality ingredients and best flavors in the world. You now can get great saving on this “Sauce Boss” up to 50%OFF. Let’s see what Cuttwood offers? GeekvapeGreed RTA is a rebuildable tank atomizer features 6.5ml and 4.5ml e-juice capacity. It is constructed from food grade Stainless Steel and Glass construction. The dual adjustable bottom airflow can be adjusted easily, also will bring you amazing flavor taste. This Geekvape Greed RTA will be your good choice for flavor chasing enthusiasts! es, not everyone vapes on sub ohm tanks or RDAs or RTAs, we are going to collect the good MTL vapes in the market for vapefam if you want to try the MTL vaping. It is special for trial production and different from bulk production. With 22mm and 24mm atomizer ring, it matches both 22mm mod and 24mm mod.The airflow holes in the airflow cap ensure smooth airflow and prevent spit-back of e-juice.The build deck has two firm posts, and with the coil correction tool, it will be easier to fix and adjust the wire. The Mini Version of the Vandy Vape Berserker RTA-Vandy Vape Berserker Mini MTL RTA designed by Alex from VapersMD. Comes with three tubes, the colorful Stainless Steel tube, ultem tube and glass tube. Berserker Mini MTL RTA features 2ml capacity with top filling. It features in a top filling design, which is easy to refill. Its dual posts design makes it easy to build wire. Besides, the RTA has a bottom airflow design, which contributes a lot to the smooth vaping. 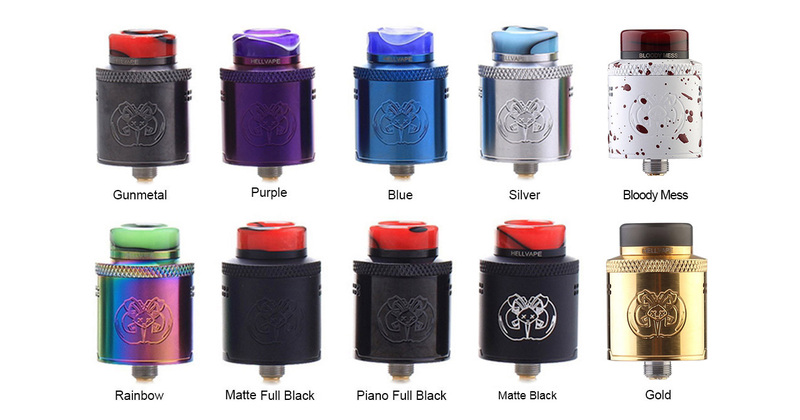 Merlin MTL RTA equips a different drip tip, you can choose one according to your hobby. Being the first starter kit of Vandy Vape, it is designed by Alex from VapersMD, the YouTube reviewer behind every atomizer from their Berserker line, providing a smooth tight draw and are widely considered some of the best atomizers in their price range. It does not require any building skills, which is geared more towards beginners – and features the first stock coil tank the company has ever produced. It has 5 adjustable airflows and diameter 19mm, which is much pocket-friendly with 2/3.5ml capacity. 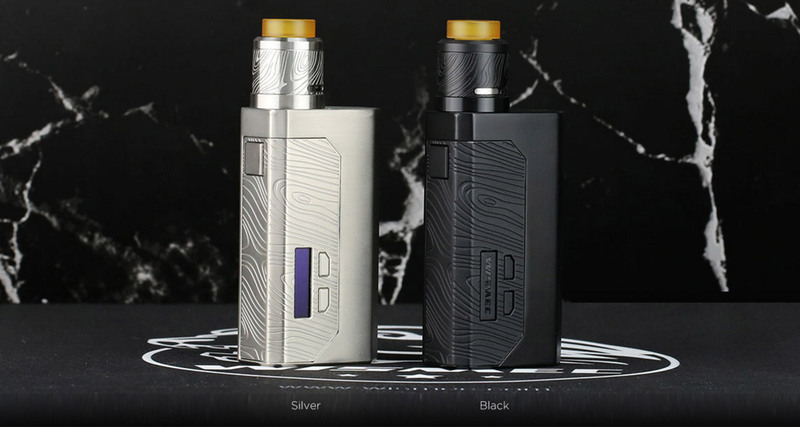 Introducing the follow-up collaboration between Wotofoand Mike Vapes, the Recurve Squonk Mod! It is an 80W mech mod level squonk mod, an unregulated mod with full safety features. Powered by a single 18650, 20650, 20700, or 21700 battery under working voltage of 3.2-4.2 volts. The mod combines the essence of beautiful curves and ergonomics seamlessly and delivers a fantastic smooth feel with special rubber coating. Aspirenow brings you yet another kit with awesome flexibility and lots of power - 220w Dynamo kit. 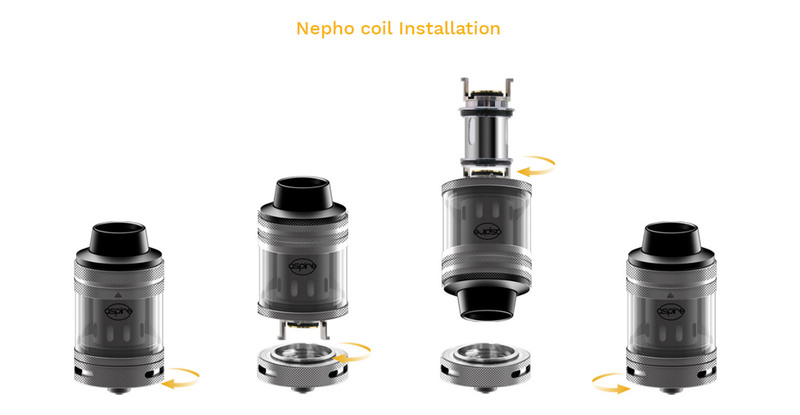 The new press fit Nepho coils supplied with the Nepho Tank come in two types with two resistances. 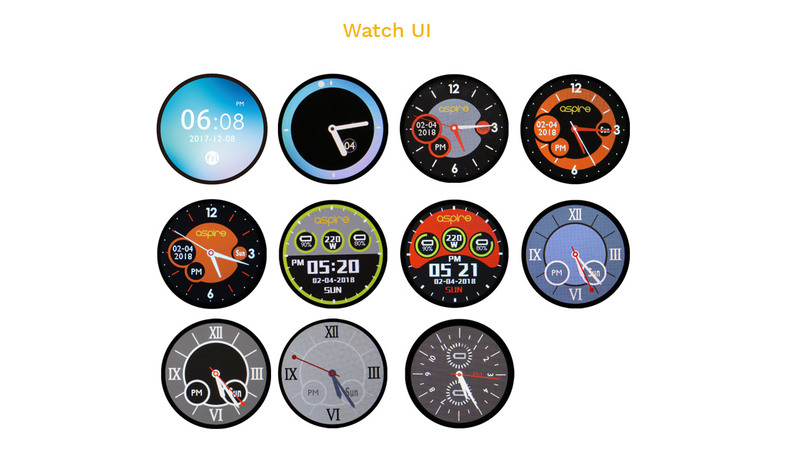 11 different types of Watch UI to expand your choices. 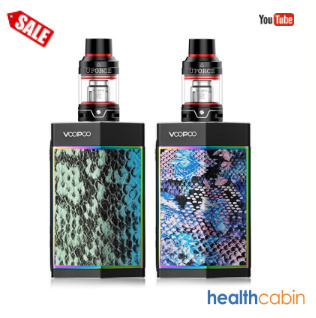 VGOD Pro Mech 2 Kit Camo Edition Returns!